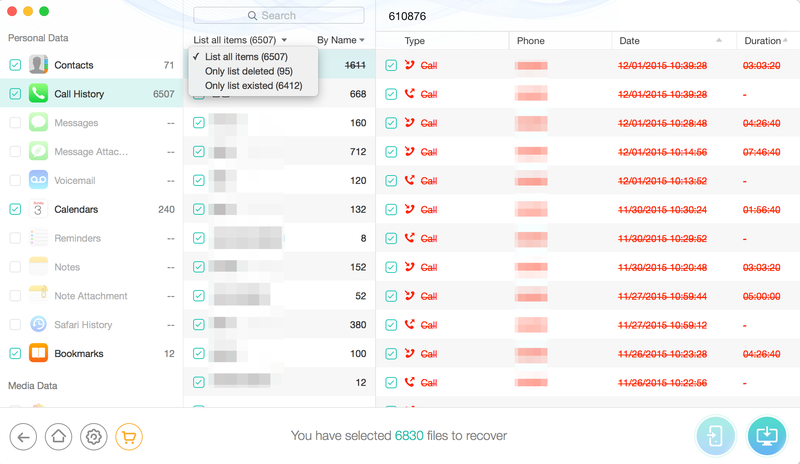 Recover from DFU mode is a time-saving way to recover lost data from your iOS devices directly. 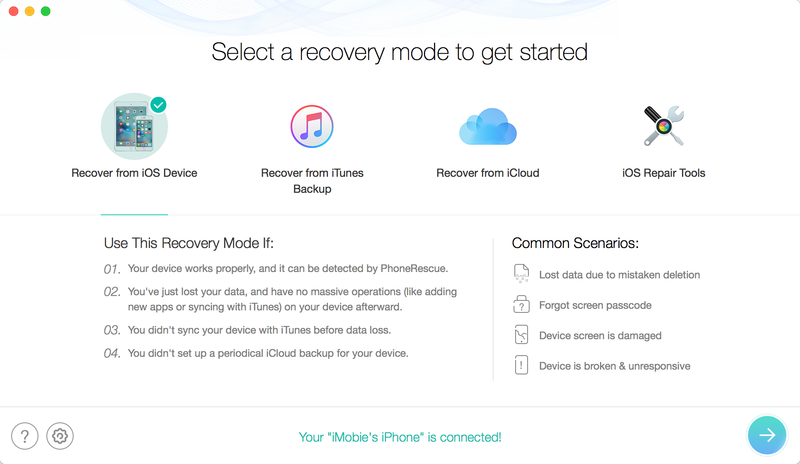 Up to now, this mode only supports to recover data from iPhone 4/3GS, iPad 1 and iPod touch 4. Please check the file types this mode supports to retrieve below. Then, please refer to the detailed guide to make good use of PhoneRescue. 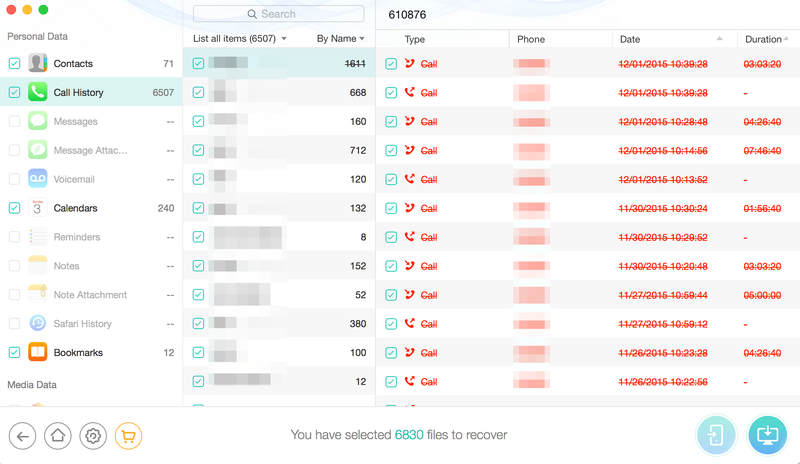 By default, PhoneRescue will detect your iOS device automatically. If you don’t connect your iOS device to computer or your iOS device isn’t recognized, the button will be disabled. 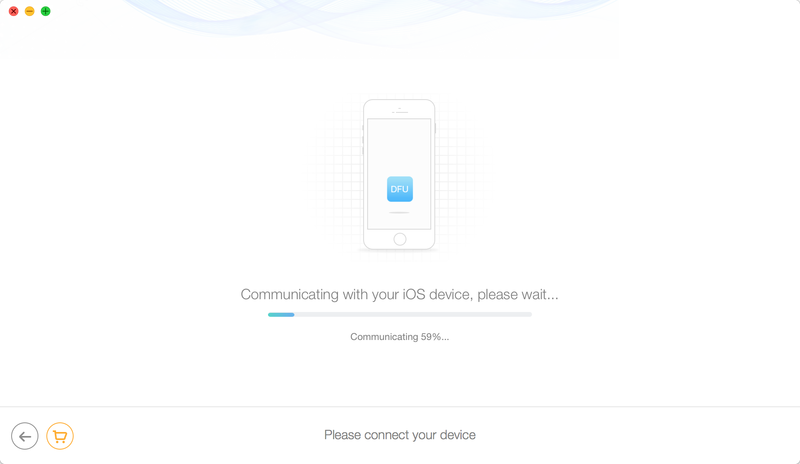 And you will see "Please connect your iOS device" interface. 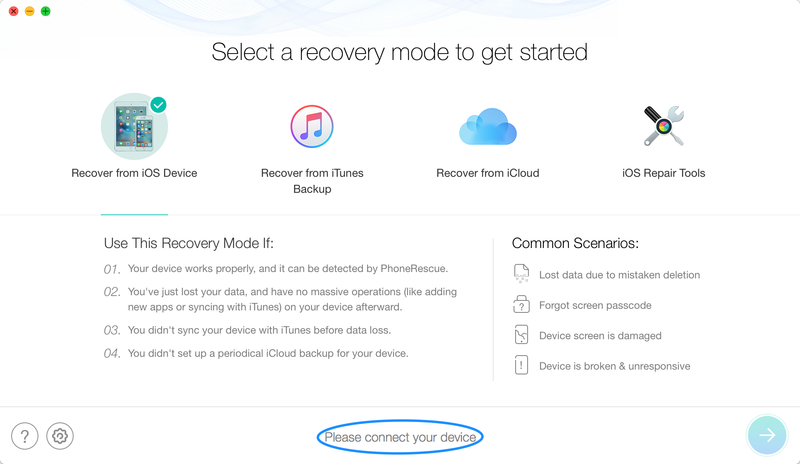 Please then choose "Recover from DFU Mode" to continue the recovery process. 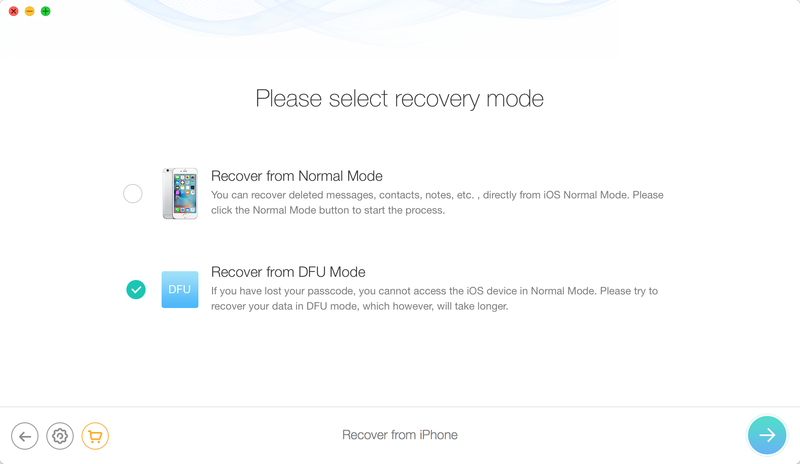 If your device does’t support DFU mode, PhoneRescue enters "Recover from Normal Mode" by default. Please click button and then follow instruction steps in the window to enter DFU mode. 1.PhoneRescue will download Firmware Package for your device when you firstly use DFU mode. It will take some time. Please keep patient. 2.It’s normal for your device screen to turn black in DFU mode. The interface of communicating and analyzing iOS device will display after entering DFU mode. The scanning process may last a few minutes based on the amount of data on your device. Please just wait for a moment. 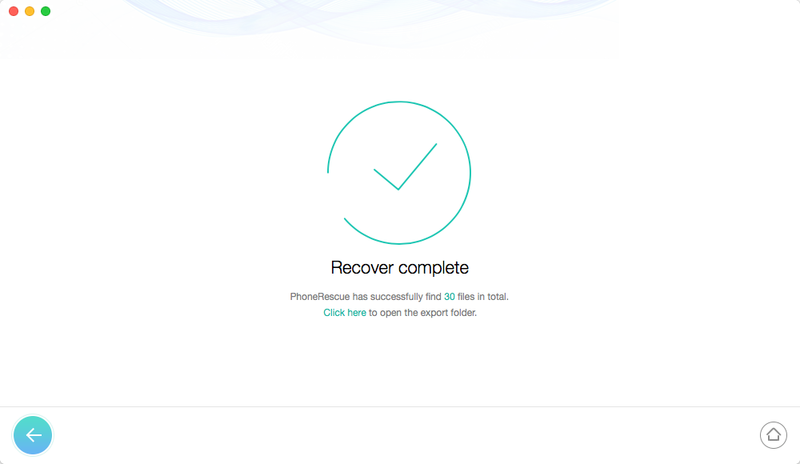 Once the scanning process is complete, you can view the scanning result in PhoneRescue. Both lost and existing data on your device are displayed in categories. To filter out the existed data on your iOS device, you can choose the option "Only list deleted" instead of "List all items". And you can search data by typing key words in search box on the upper middle of the window. If you find the data you need, please put the check mark in front of the box to select them. Then, please click the Recover button at the lower right corner of the window. 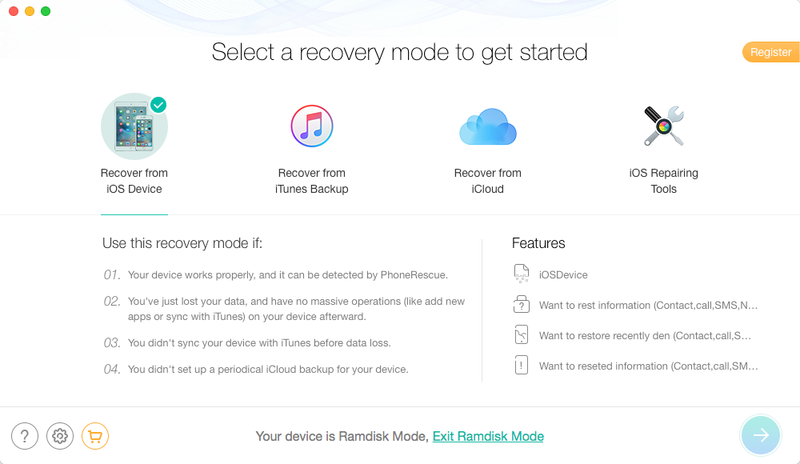 After clicking button (Recover to Computer), your recovered data will be saved on your computer automatically. 1.Please keep your device connected until the recovery process completes. 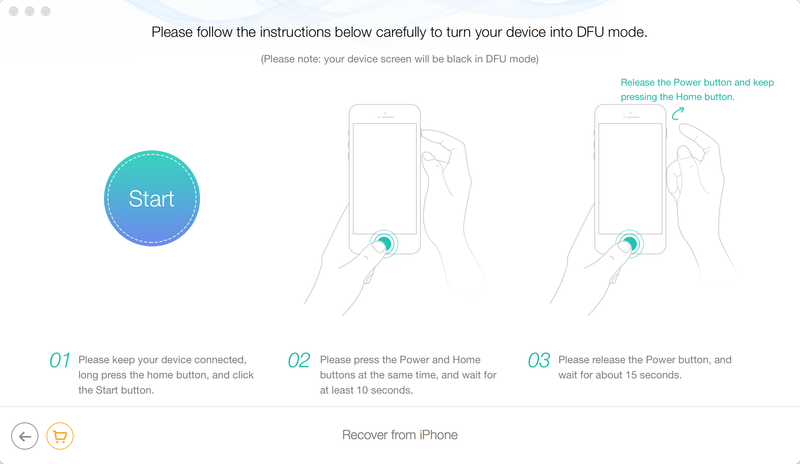 2.DFU mode doesn’t support to restore data to iOS devices directly. When the recovery process is complete, you will see the Complete page. You can click "Click here" to check the location of the exported files. To go back to previous page, you can click button . If you want to go back to homepage, please click button. To abort DFU Mode on your device, please click "Exit Ramdisk Mode" and then click "Exit Recovery Mode" at the bottom the Homepage.